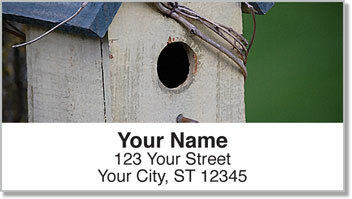 Quaint countryside homes designed for your feathered friends give you a memorable finishing touch for letters and packages. Handcrafted birdhouses are the best kind. Even the birds in your backyard seem to realize that. You'll find four original varieties featured on these charming mailing labels from CheckAdvantage. 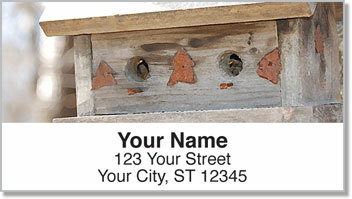 It's a great choice for both woodworkers and birdwatchers. But the best part about your new labels is how they make life a little easier. 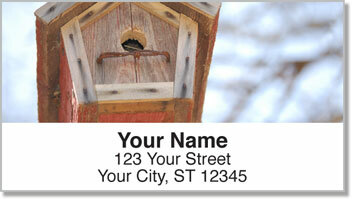 You can forget about scribbling out your name and address over and over again. From now on...just peel and place a self-adhesive label and be done with it! 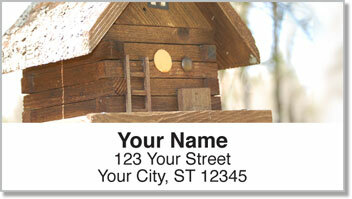 Get your very own Wooden Birdhouse Address Labels today! Complete the order with matching personal checks.